Award-winning technology provider, InfoTrack, has launched their new electronic document signing tool, SignIT, which enables legal professionals from all sectors to upload and sign any document online. It is known that obtaining signatures for legal documents can often delay processes, particularly where printing, scanning and posting of documents are required. 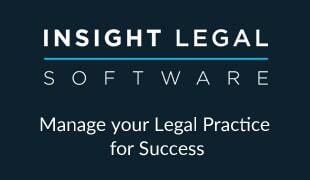 Addressing this, and further to the Law Society’s electronic signature practice note of July 2016, InfoTrack has released SignIT in order to reduce potential delays and the need for paper. SignIT is a simple, smart tool that allows users to quickly upload any document onto the InfoTrack platform, for parties to complete electronically. Drag and drop functionality allows the user to mark areas where signatures, initials, dates and other inputs of information are required. The document is then sent electronically to the parties involved and, using DocuSign integration, is then completed and signed electronically.